Homeschool curriculum programs are helpful for children because the programs help them learn at their own rate in a safe place. You must choose a program that works for your kids, and the list of seven that you see here helps you decide what to do. You must fill up your curriculum with as many qualitative books as possible. 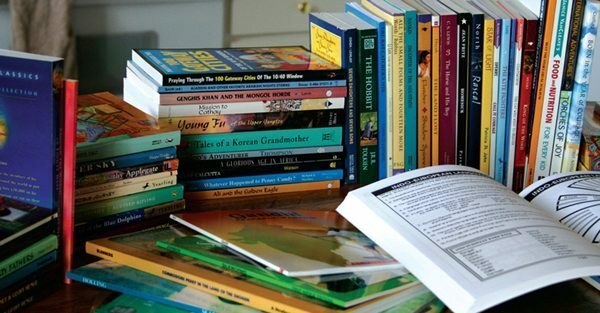 It is much smarter for you to use books when choosing homeschool curriculum programs because you can send your kids off to read at any time. Many people have learned a lot simply from reading, and basing your program on books. You might find a workbook series you prefer to use with your kids, and it is simpler for them to do all the work that must be done for practice. The workbooks are available for all grade levels, and your kids feel like they only have a little bit to do when they start their homework. You are free to add in faith based programs for your kids, and they merely supplement what your children are learning. You might want to have meetings with people who do homeschooling because you all come together to teach the kids something that is useful. If your kids get to meet people who teach these subjects, they get more information on a given topic. You might make friends for life, and you learn something yourself. Your homeschool program should have as much travel and field trip time as you can get. You might take your kids to places that are of historical value, or you go to a place that helps the kids learn about science. There are many museums that host play days for kids, and they do workshops that might fit into your curriculum. Your homeschool program requires that you work together with your kids. They need to get some personalized help, and you must sit down when them when you realize that they do not understand. Working with your children gives them the personal attention they need, and you must send them off to do the work on their own after a time. Choose a homeschool program that issues grades to kids, and it is important that your kids are familiar with the grading system you use. They might not need strict grading like they get in a regular school, but it is possible that they learn something about working to a deadline when their grades are on the line. Little things like this get them ready for college or high school. Many children go through school programs every year, and they must be given the curriculum that best suits their needs. You might choose to base your program on books, or you could use travel and field trips. Give your kids grades when you think it is needed, and ask your kids what they prefer so they learn at a rate they are comfortable with.